Brazilian Productions "Noche de samba"
We Bring Brazil 2 U! We specialize in providing our Clients with the most authentic Samba Dancers, Percussionists, Capoeiristas, Brazilian food and decoration. Our goal is to make sure that your guests truly experience the "Brazilian Way" of having a great time. All Shows are produced by Christine Portella, a native from Rio de Janeiro. Christine has been in business for the past 25 years and is extremely passionate about the quality of her shows! Experience all of the amazing things that we have to offer! Let Us Bring An Authentic Rio de Janeiro Carnival 2 U! Christine Portella, the owner of Brazil Carnival, was prompt, quick to respond to all my emails and extremely easy to work with. I connected with Christine after posting a request on Gig Salad in July 2014 for our April 2015 wedding. She was the first to respond and had been responsive to our 100+ questions for 7 months until we finally pulled the trigger to go with her 3 amazingly beautiful Samba Dancers and 3 percussionists. From the beginning, she assured me that her dancers are the BEST, and honestly, she couldn't be more right. Christine met us in SD (we are from SF) in July 2014 and she checked out the venue and space before our wedding (once we became more serious about having samba dancers at our wedding), which was definitely necessary and made me feel more comfortable. She was honest about her thoughts/concerns and we worked through the plan together - she ultimately put our vision to life! Our guests were AMAZED by the wonderful performance. I'm so glad we chose to have samba dancers as our entertainment and even more glad that we requested percussionists as well! Without the percussionists, we wouldn't have been able to have the true Brazilian beat and feel. For a wedding, or any event, it's very important to have responsive vendors who actually listen to your needs. Christine exceeded my expectations. I would give Christine's service and the dancers & percussionist's performance 10 STARS! I hope I can throw another event in San Diego only to have Brazil Carnival perform. AMAZING Show , SPECTACULAR Dancers!! "WE BRING BRAZIL 2 U" They are not kidding!! The best Brazilian Show I have ever seen!! level and know how to get the party started. and Music that exceeded my expectations! Professional, Exciting, Energetic and FUN! It was a pleasure working with Christine from the planning stages to the energetic and fun performance of her performers. 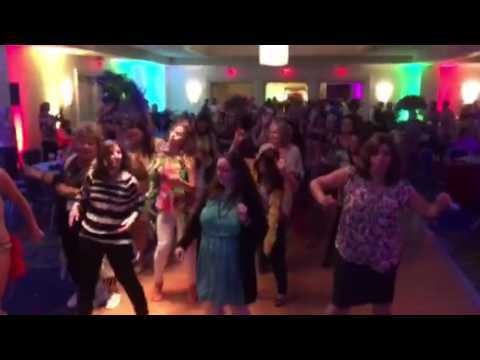 For our annual work conference, we went with a Brazilian theme for our main event and BrazilCarnival did not disappoint! Starting with a Bossa Nova duo with their smooth sounds welcoming guests in, then to the Capoiera dancers and drummers kicking off the performance and then to the incredibly talented female samba dancers with their beautiful costumes and smiles all accompanied by a great DJ! Christine and her group were extremely flexible when we had to move our outside event to the inside due to rain ... Rain or Shine - this group is fantastic! Omg! Words can't express how perfect everything about Brazil carnival was and is! Superseded my expectations completely! Awesome! Awesome! Awesome! And yes they do bring Brazil to you! Amazing ! Thank you!! I had the BrazilCarnival for my dauther wedding in April 2015. Their performance was amazing, their costumes shining and their music was astonishing. I will hire them for every other event I might have in my life and will recommend them with no hesitation. I can not thank them for making my daughter wedding a memorable event for over 200 guests. The Best Brazilian Show I have ever seen. 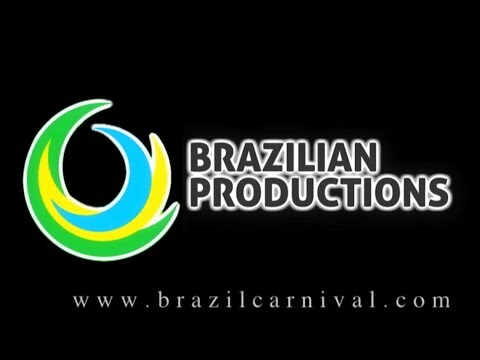 I an event planner and I hired Brazilian Productions for one of my high end clients. Christine Portella, owner of the company, was personally there to assist her team of the most beautiful & talented dancers I have ever. Christine & her team were extremely professional, always ready before call time, and left my guests gushing about how fantastic the performance was. I would highly recommend Brazilian Productions for anyone that would like to make a lasting impression on their special guests. We offer the most SPECTACULAR Brazilian Samba Percussion and Capoeira Shows! No one comes close to the beauty, talent and looks of our performers! Our Show will start with a couple of choreographed numbers performed by our classy Samba Dancers and Capoeiristas, followed by audience interaction and participation, and end with the opportunity for your guests to take photos with the performers! We Bring Brazil 2 U! I am a native of Rio de Janeiro. Authenticity & Passion are in all our Shows! We have been in business for the past 25 years in San Diego. Our goal is to provide our clients with the Best Performers at the Best Price by working with our client's budgets and bringing the experience to enhance their special event. We have a lot of other talent to offer aside from the best Samba Dancers, Capoeiristas and Brazilian Bands! We also put on shows for Flamenco, Jazz, Spanish, Cuban and much more! We have worked with the Gaslamp District, USS Midway, Palma Casino, EDC, Beach Soccer Jam, The San Diego Symphony, The Latino Film Festival and have been featured on and have the support from the Union Tribune, KUSI and NBC and much more! Our purpose is to always ensure that every guest remembers our Show as one of the BEST they have ever experienced! We either bring our live drummers or perform to tracks.